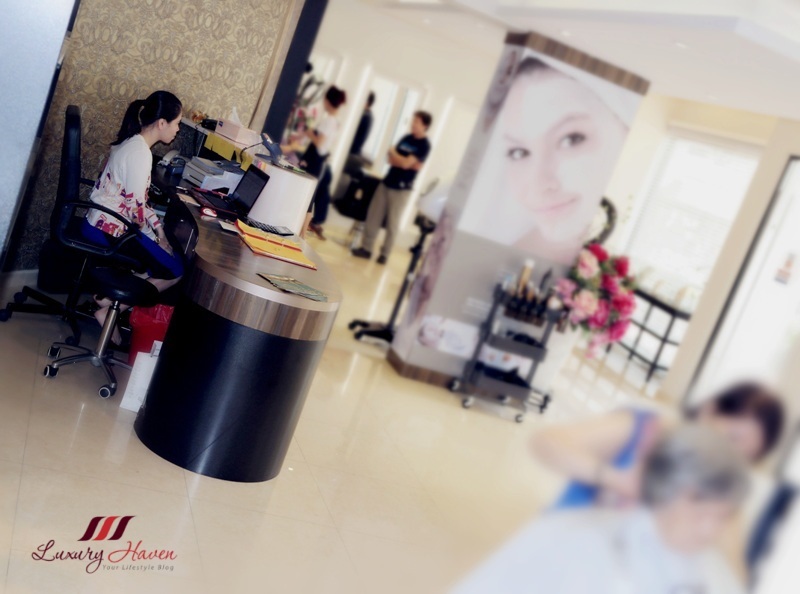 You are here:Home » Promotion / Events » Georgina's Salon, Your One-Stop Beauty Parlour + 25% Off! Georgina's Salon even has a counter for costume jewellery carrying designer luxury costume jewellery by Les Nereides Paris for those last minute dinner or cocktail parties! 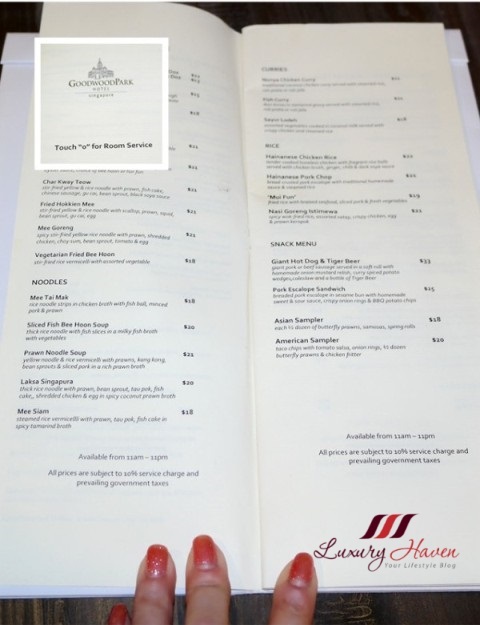 Not to mention guests at the stylish salon can have their food orders delivered from Goodwood Park Hotel to fix their hunger pangs! 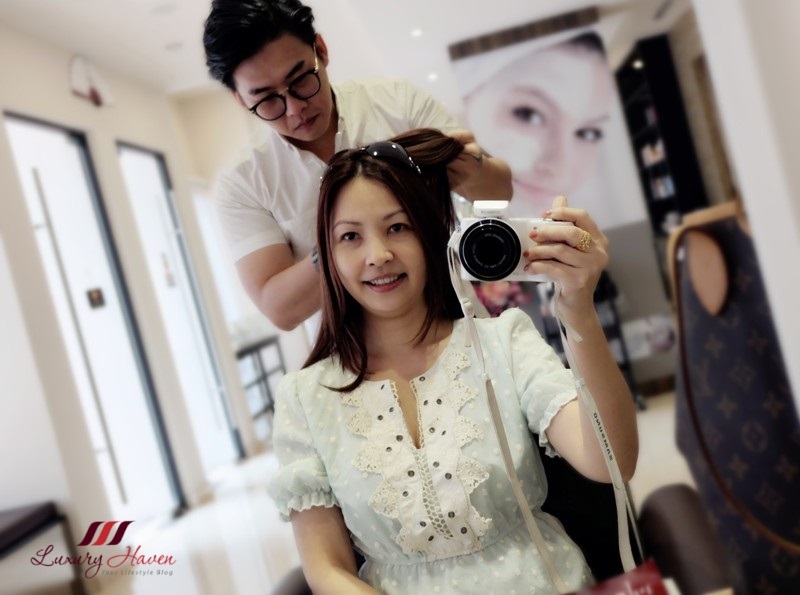 Georgina's Salon caters to a strong base of well-heeled clientele who are willing to splurge on quality hair care and beauty services, with a pool of regular locals and Indonesian Tai-Tais making the bulk. * Tai Tai is a Chinese colloquial term for a wealthy lady of leisure. Let's hear from the lady boss of Georgina’s Salon: “You must have an outgoing friendly personality and always ready to serve customers. My customers said that I am a very caring person and love to do hair more than business. 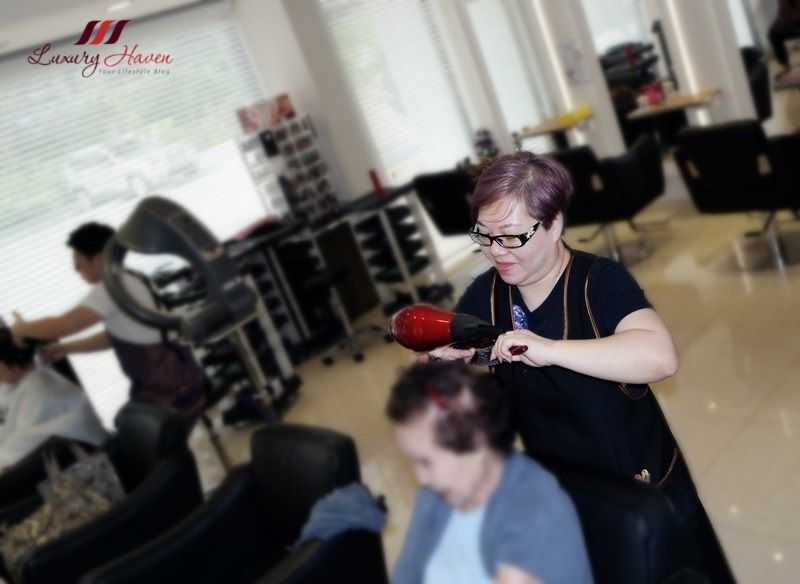 It is also important to be technically great, but customers nowadays don’t just find hairstylist who is good in techniques, you must deliver a great service too.” Well, we can certainly spot the vivacious side of Georgina attending to one of her regular clients. 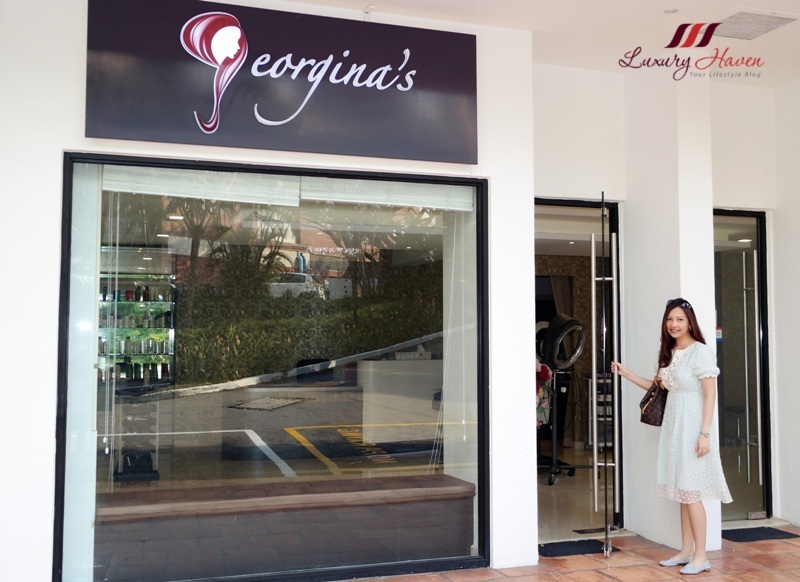 Following the closure of Naoki Yoshihara's outlet in Orchard Road, here I am embarking on another " hair-raising " journey with Georgina's Salon as my next hair sponsor at Goodwood Park Hotel. I am really excited to have Jaren as my hair stylist taking care of my hair from now on, as he carefully examined my scalp before deciding which products are suitable. 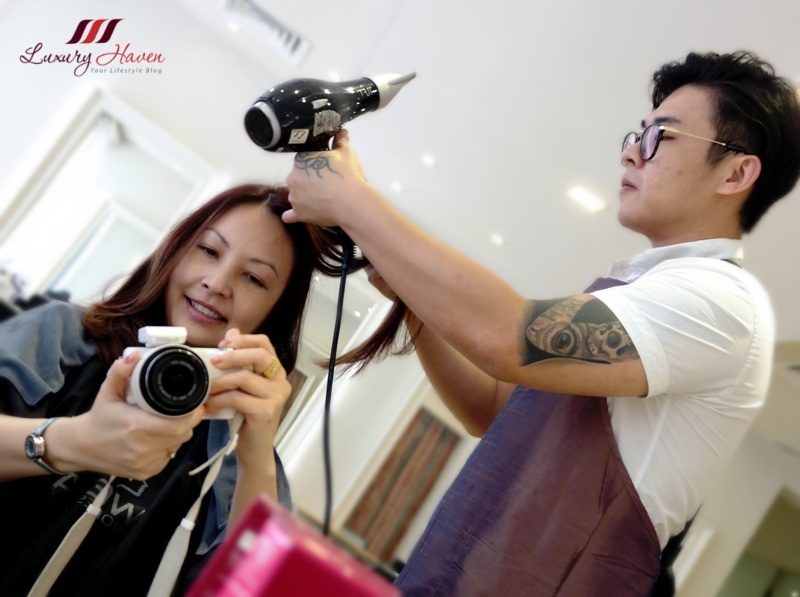 Jaren has been a hairstylist for almost 12 years now, with experience in countries like China and Hong Kong other than Singapore, styling hair for fashion models. 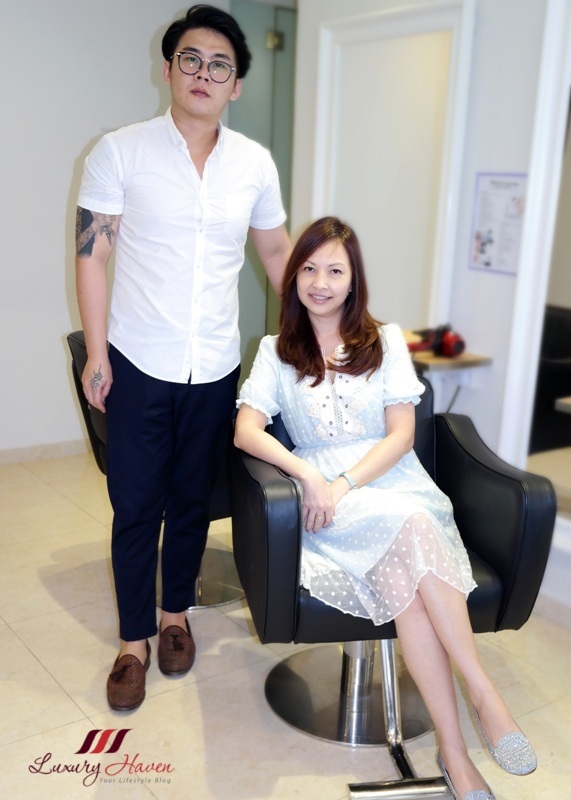 "It is very rewarding to make a person look and feel great with the new hairstyle. And for me this is not just business or career, it is my life and my heart always go along with it.” remarked the warm and friendly Jaren. 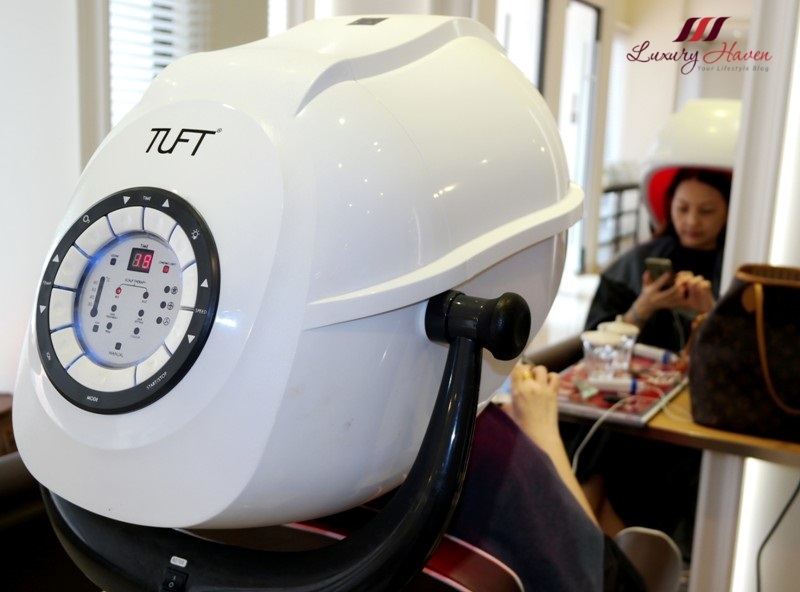 So there I was, for my first scalp treatment indulging in a René Furterer Paris therapy using essential oil for clean scalp and beautiful hair, followed by the Fiole Hair Repair System from Japan to revitalize damaged hair. 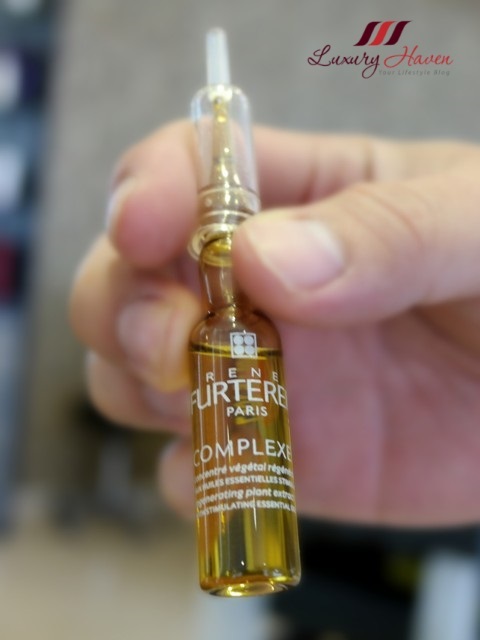 In the René Furterer Scalp Treatment, the shampoo girl employs an effective massage technique to ensure deep penetration of the high-performance essential oil. I could feel a warm sensation on the scalp as the oil purifies the scalp. Leng has excellent massage skills and I had the most relaxing head massage for about 5 - 10 minutes. The René Furterer COMPLEXE 5 regenerating plant extract is a weekly scalp treatment essential for a healthy scalp and beautiful hair. It strengthens hair from the root while deeply cleansing the scalp and optimizing the effectiveness of René Furterer treatments by 10 times. Formulated with a unique concentration of 53% pure essential oils of Orange and Lavender, this scalp treatment purifies the scalp and increases micro-circulation to reveal healthy and beautiful hair. I was then put on 20-min heat with infra-red light to allow deep penetration of the active ingredients. The René Furterer MELALEUCA Anti-Dandruff Exfoliating Gel is a gentle pre-shampoo scrub applied after the René Furterer COMPLEXE 5. The exfoliating gel gently exfoliates the scalp with micro-ionized apricot extracts for lasting cleansing action. The soothing oxygenizing sensation is reinforced by the cooling properties of menthol. Another quick head massage was given after the application. 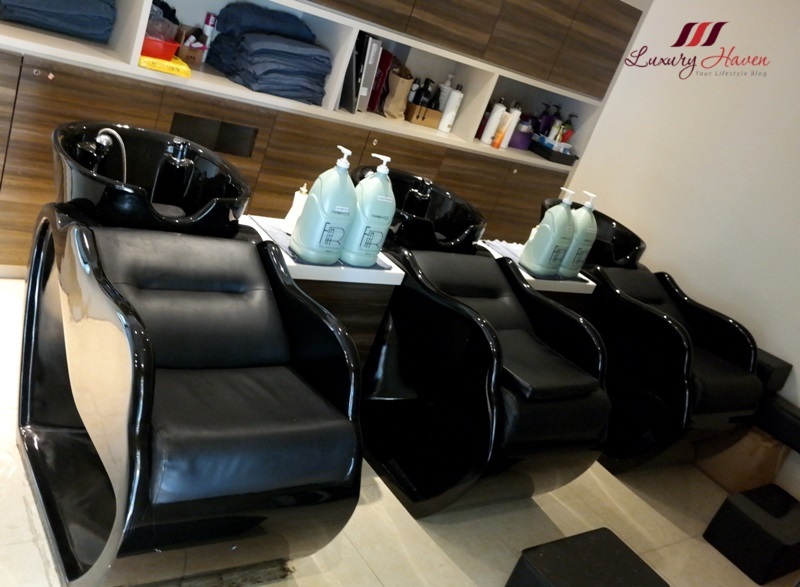 Georgina's Salon has 2 separate shampoo sections with roomy space where you can simply relax on their comfy seats. 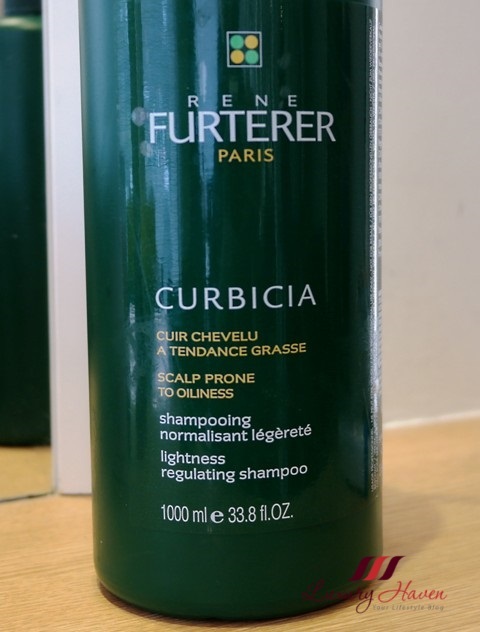 René Furterer Curbicia Lightness Regulating Shampoo is a oxygenating shampoo that deep cleanses the scalp while eliminating and regulating excess oil production. When used regularly, it helps to reduce the frequency of shampooing and the hair regains its natural volume and radiance. I was given the Fiole NP 3.1 Hair Repair System (MF) for damaged dry hair with a heavy and flattening texture. 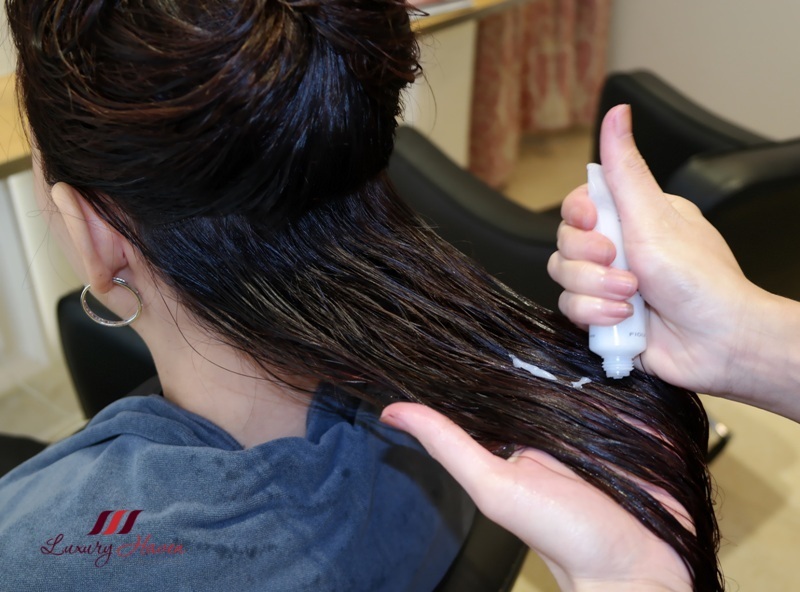 The Fiole Neoprocess MF Treatment System is specially for coloured treated or straightened hair. The Japanese professional hair treatment instantly repairs damaged and dry hair, giving deep moisture from hair surface to hair fibre. 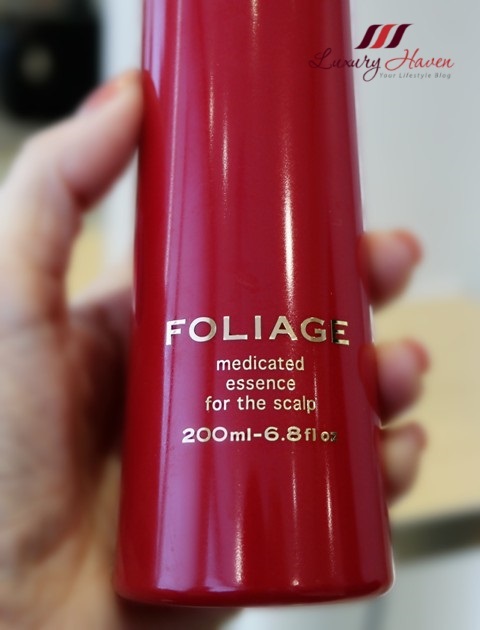 Nakano Foliage Medicated Essence for the Scalp was applied before blow drying my hair. The essence penetrates the hair roots and activates hair papilla cells fostering a beautiful hair as a result. 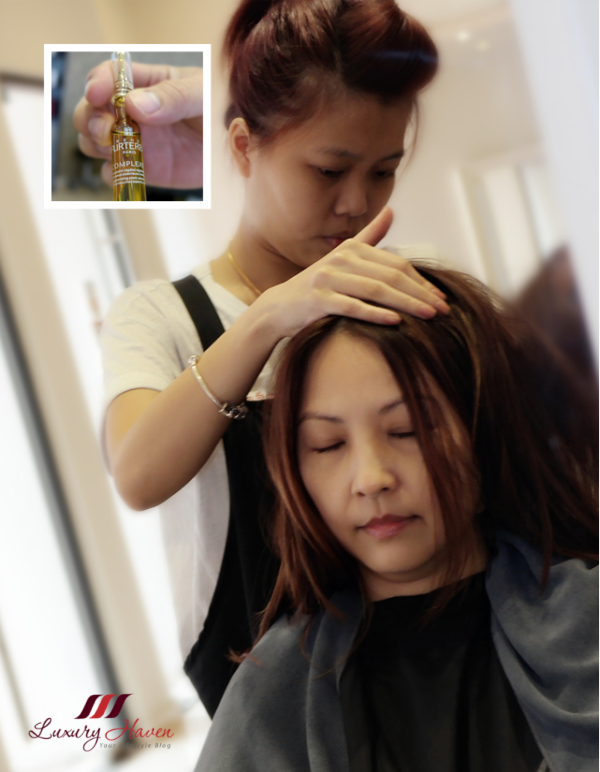 For a long sustainable effect to a cleaner scalp and to regain shiny fresh and young hair, book your appointment now at Tel: +65 6737 5251 or Tel: +65 6737 4562. Thanks to Georgina, all readers will get a generous 25% off all hair services! Simply quote LUXURY HAVEN to get your special price! * This is a sponsored post by Georgina's Salon. The author only recommends products or services she uses personally which she believes to be beneficial for her readers. Views and opinions expressed in this blog are purely by the author. Wow, that looks like an amazing set of treatments there! So lucky! Is so much fun to get pamper and hair done great post. It looks like a great place and your hair are fantastic! 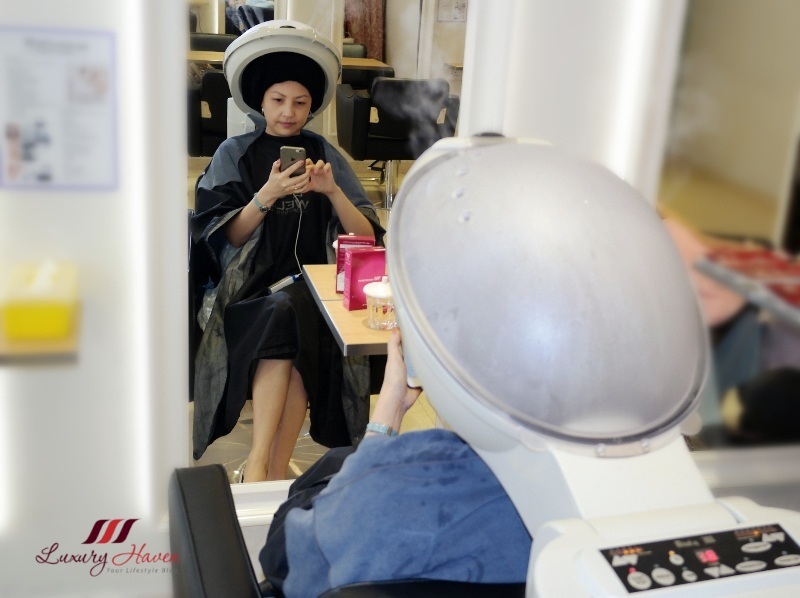 This salon looks great and it's brilliant how the staff are encouraged to be warm and welcoming :) I love your pink glittery manicure by the way Shirley! 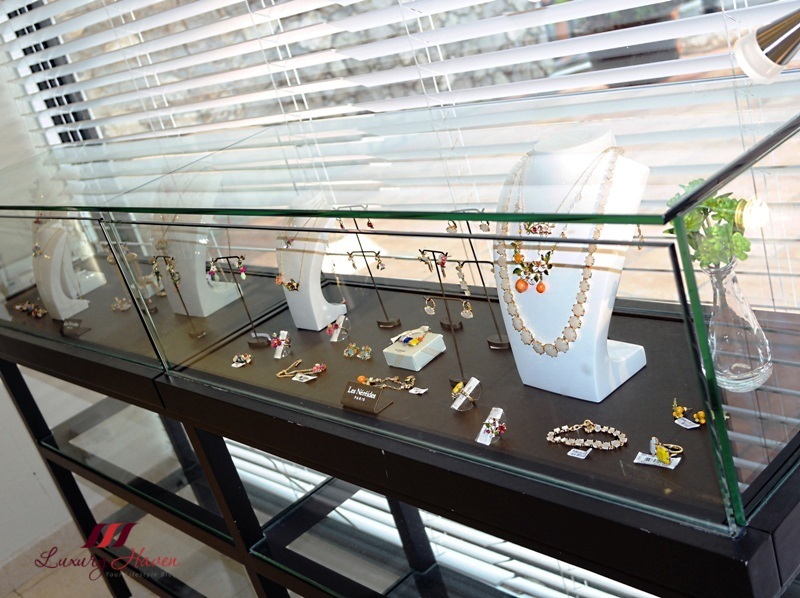 Ooh they sell jewellery too! Interesting salon, Lovely result on your hair!!! Seems you had great time being pampered on that beautiful salon! Divine the salon is and divine is the treatment. I see the lusciousness in your hair. The salon looks really good. And you look so beautiful! This looks like a perfect place to let ouselves be pampered....this hairsaloon seems wonderful. Your hair looks amazing....so healthy and shiny...so these hairstylish must know what they are doing. In addition, I really like that romantic dress you are wearing. You look so beautiful and feminine. Those treatments sound so good for your hair and scalp. Your hair looked amazing after all of it! Such a beautiful experience. Nice salon to get pampered. Such a fun pampering day, so wonderful! Your hair turned out really nice! Great salon! You take such a good care for you hair. I love Rene Furterer Products! Amazing hairstyle! Your readers who are in Singapore must be so happy to get 25% off for this nice hair salon. Congratulations for your hair, the result is amazing! Shirley, take me with you and give me some of your free time:). I can't wait till my boys are older than now so I will have some more of my time to do my thing:). 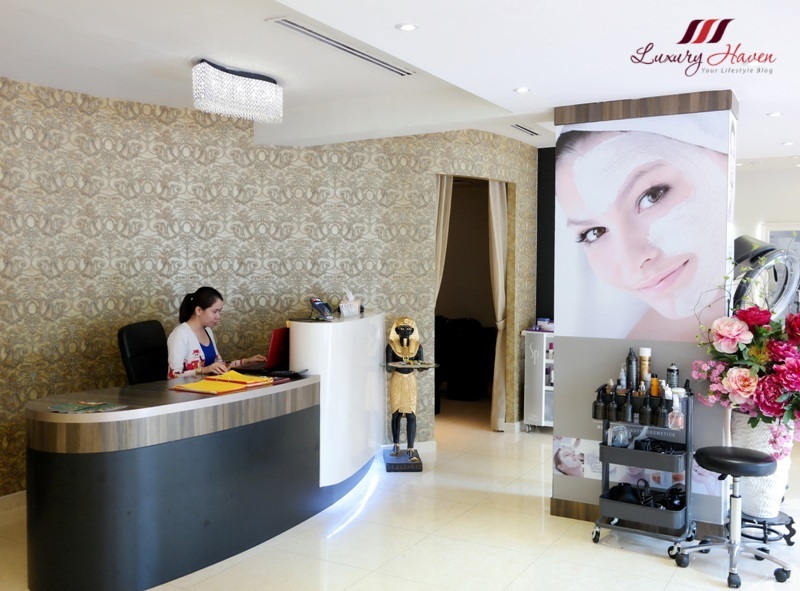 I love the places, where you can care about your hair, face, body and nails. All in one place! Cool! Google kept changing the security steps. I wish they'll keep things simple. Thanks for being patient, Pepper!